I am going to be giving a two-hour workshop at Yogave, in Falmouth, Maine on Saturday November 13th 2010 - from 2-4 pm. This workshop is the foundation for a larger weekend workshop that I'm currently designing to help people transform their relationships - with themselves, their significant others, and their dogs (of course!). The cost of the workshop is *pay-what-you-want* (donation). Following is the full description - and I look forward to seeing you there! Do you have a dog? Do you practice Yoga? Have you ever wondered how the presence and flow that you cultivate in your yoga practice could help you with your dog? 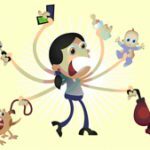 Have you looked for a way to build a reliable connection with your dog that isn’t based on the old-fashioned models of dominance, or seeing your dog as a machine with behaviors that need to be rewarded or punished? Do you want to know how to teach your dog to come when called – no matter what is going on in their environment? Do you want your dog to listen to you in the moments when it truly matters? In this transformational workshop, you will learn exactly how your physical, emotional, and spiritual state influences your dog’s behavior. You will also learn how to play with and train your dog in a way that develops presence, flow, and in-the-moment awareness in the rest of your life. This heart-centered way of working with your dog allows you to communicate with your dog effectively, especially in the high intensity moments when your dog’s safety (or someone else’s safety) depends on it. Neil Sattin will show you specific techniques in this workshop for getting these results, all the while creating alignment between your practice in the yoga studio and your relationship with your dog. Inner Game of Dog Training – How what goes on within you affects what goes on with your dog. The secret to getting (and keeping) your dog’s attention. How to become the center of your dog’s universe. The flow of emotional energy between beings – and why it matters in your relationship with your dog. The most important question that your dog is asking you – and how to answer it. Ways to transform your own (and your dog’s) emotional state. Neil Sattin is a coach, husband, father, musician, and one of the world’s leading experts in Natural Dog Training. 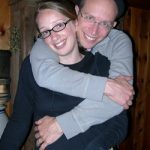 Along with maintaining his own websites (NaturalDogBlog.com and NeilSattin.com) and coaching humans on their relationships (with themselves, other humans, and their dogs), he also writes regularly for Intent.com and ElephantJournal.com. 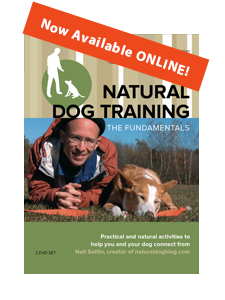 Neil’s instructional DVD set is currently the only complete video instruction available for the techniques of Natural Dog Training, and he is a featured course author on DailyOM.com (“How to Speak So Your Dog Will Listen”). 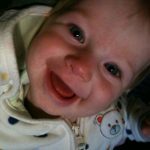 He is currently training with Cloe Madanes, one of the nation’s top family therapists, in the techniques of Strategic Intervention. Neil’s mission has been integrating the work of personal, relationship, and canine transformation.